The most emotive, inspiring and defining element to our Online MBA is our On-Campus Week. The beginning of December normally means holiday shopping, winter weather and a plethora of activities for our online students on the EU Geneva campus. This On-Campus week in Geneva invites all Online MBA students to gather on the campus to meet face-to-face with their peers, professors and EU alumni during networking events, guest lectures and industry visits. 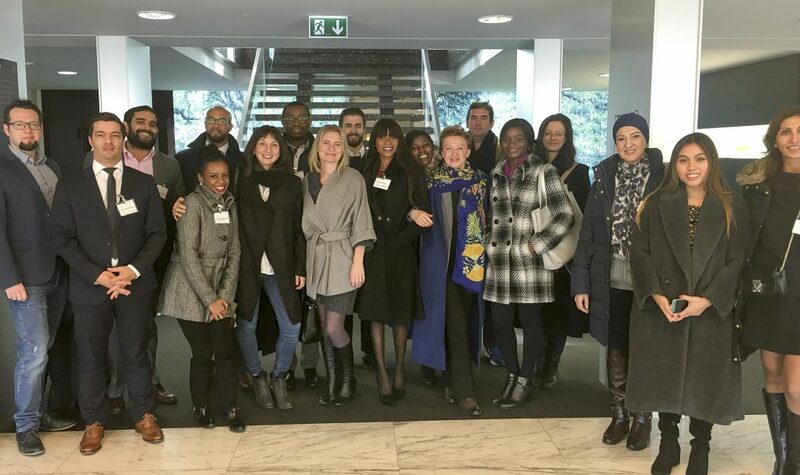 This year, EU Geneva welcomed 17 students from all over the world, some coming all the way from Zambia, Dubai, Kenya, Sint Maarten in the Caribbean, Poland and Italy, to name a few. Biliana Vassileva, innovation coach & consultant, was the guest speaker this year and asked our students to Dare to Choose in order to live more mindfully every day. We also had the pleasure to listen to Claudio di Salvo, EU alumnus, who is now a specialist at IATA. 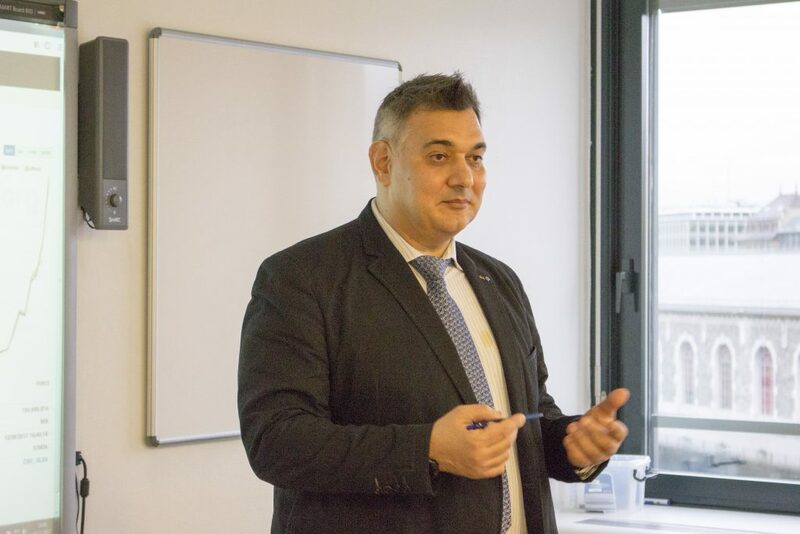 He explained blockchain and cyber security to students. See his EU Interview here. Our students were privileged to take a peak into the inner-workings of Givaudan, a Swiss manufacturer of flavors and fragrances and one of the largest vanilla providers in the world. Students spoke to their head of communications, HR and procurement. They then were able to see the inner-workings of one of the most luxurious watchmakers in Switzerland, Blancpain, high in the mountains of Switzerland in Le Brassus and see the clockmakers workshop firsthand. It was fascinating to see the artisans work and to learn that some watches take a full year to complete, as each and every piece is hand crafted by a single skilled watchmaker. Our students had the chance to let their hair down at Edelweiss restaurant, where they were able to taste some traditional Swiss cuisine and listen to traditional Swiss music in a cozy and comfortable setting. There is nothing that says teamwork like sharing a warm cheese fondue with your colleagues. 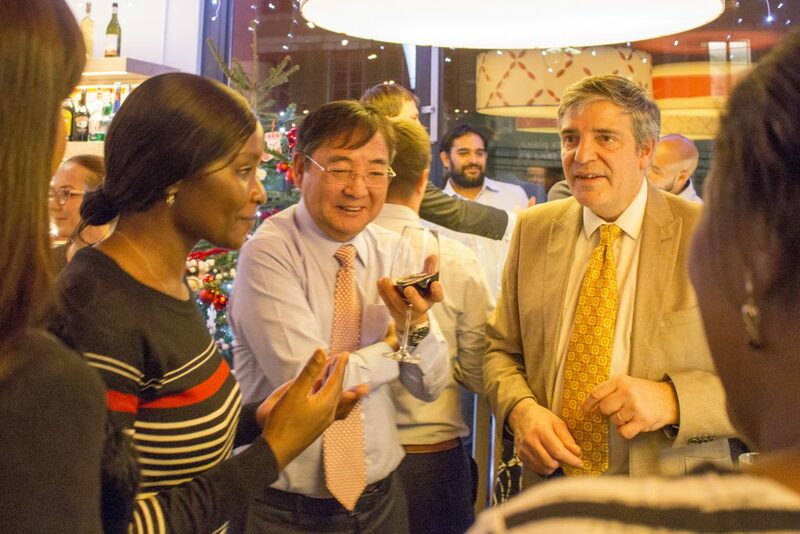 Lastly, a networking cocktail event was organized at Vapiano restaurant in Geneva where the students were able to mingle with each other, with some of the staff from Geneva and Barcelona and their professors. Overall, the most exciting part of the trip was getting to know all the students and finally meeting face to face after weeks of correspondence. 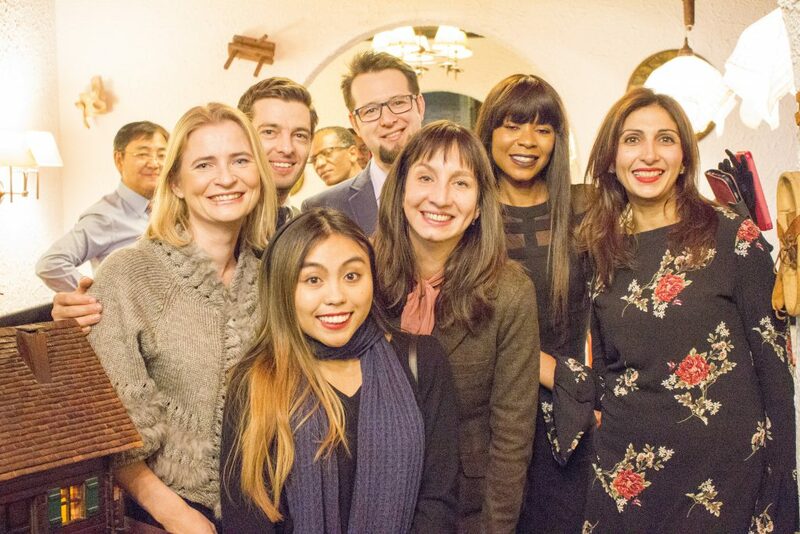 It is a unique experience to meet people from so many different backgrounds and from so many different parts of the world. For more information about EU Business School’s Online MBA, click here.